OsCommerce is completely free and opensource PHP e-commerce framework. OsCommerce has an easy and flexible admin interface which makes OsCommerce one of the easy to manage PHP frameworks. OsCommerce is supported by large community of open source programmers. Oscommerce also provides a wide range of options to customize and personalize the store by means of plugins and templates. This e-commerce framework also provides options to localize the store using different languages. Quintet has extensive experience in handling e-commerce solutions including OsCommerce. Our designers can design and deliver custom templates as per requirement , no matter how complex it may be. Custom store design and branding provide competitive advantage which can increase store performance and user engagement. Our developers are also experts in OsCommerce Add-On development, which helps you to integrate your services to stores using the OsCommerce platform. If you are planning to migrate your online store to OsCommerce, you can have a word with us and we will be at your service. OsCommerce is one of our recommended frameworks to start an online store. We have expertise in setting up and deployment of online store using OsCommerce framework and additional services like payment gateways, shipping services, drop ship providers etc. can be integrated. Just like all our other services we provide, it goes through comprehensive testing process to make sure that service we deliver have the desired quality. 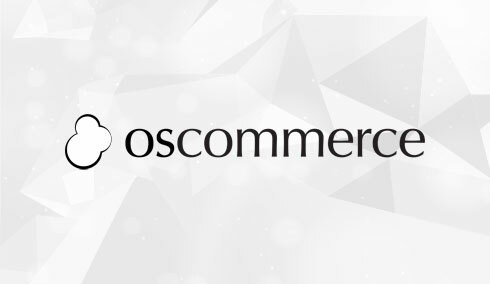 OsCommerce is the framework used in almost 200,000 e-commerce stores around the world. If your are an ecommerce service provider, you should also consider including store owners who are using OsCommerce. Your ecommerce service can be easily integrated into OsCommerce by the means of plugins. By providing a plugin service you are definitely getting a competitive advantage. Store owners will also like your service since they will find your service easy to integrate by the means of plugins. At Quintet we help you to develop plugins for your service and we also customize OsCommerce features. Our designers are experts to create unique branding and template for your OsCommerce website. We can provide new templates for your store which matches your products category. you can have your own unique branding like some of the popular online sites. Custom and unique logos and store templates make the branding experience of your store unique and will increase conversion rate from visitors to customers. We have experience in migrating online stores across a variety of E-commerce platforms including OsCommerce. Our developers will provide store migration services according to the requirement. While performing data migration we will transfer data and design template to work with OsCommerce. While performing store migration, we will ensure that all store aspects including SEO and user experience remain intact. ZenCart is one of the most popular, free open source, e-commerce web application. Quintet offers ZenCart integration to build brand new e-commerce websites. Our team can assist you with customization as well as enhancement of existing ZenCart website. Magento is the best available feature-rich eCommerce platform built on open-source technology which will help you to make most out of your online business channel. At Quintet we have been helping our customers in growing their business network globally with our vast experience in Magento development services. UberCart is an open source E commerce solution that is completely integrated with Drupal. Drupal is used to sell shippable and downloadable products. Quintet's services include Ubercart customization, Ubercart module development as well as Ubercart themes development. BigCommerce is one of the top rated e-commerce providers in the world. Quintet helps you with the BigCommerce integration services such as Responsive design and development, Template design and modification,Theme Installation and Advertisement Banner Design. Amazon web service (AWS) is a collection of remote computing services which altogether constitute the cloud computing platform which is provided over the internet by Amazon.com. Quintet offers timely solutions for all cloud based installations, networking, and management of AWS.